Tired of searching for useful and funny learning material for Chinese? And get confused sometimes by different resources? Read this article! We’ve got everything a smart learner is looking for. No matter whether you are a traditional learner who prefers using textbooks or speaking with a teacher face-to-face or you have a fixed schedule and are searching for a more flexible learning method, video lessons can meet your needs. Hanbridge’s language support videos cover a wide range, from business Chinese, daily Chinese, HSK preparation, and Chinese characters to learning Chinese through songs. For example, our professional teachers answer students’ most frequently asked questions, such as what’s the difference between 还是 and 或者? and how to differentiate 知道，认识，明白？ Also, we have a special channel to help you learn Chinese through songs, which is a lot of fun and has been very well received. The thousands of video views on our platform demonstrate the popularity of video learning. We understand you have limited time and need to make the most of it. So on our Hanbridge site you can find out about strategies to learn business Chinese, Chinese characters, Chinese phonetics and Chinese culture. And if you are looking for materials for your kids, we’ve put together a list of everything you need, such as “Common Chinese words for kids,” “Best Chinese story books for children,” and so on. In addition, if you are curious about Chinese names for boys and girls, we also have it prepared for you. If you are an independent learner who prefers self-study online, then here you can find something different. On our website you can start from “The Sentence of the Day” to check the most popular expressions or even the slang popular among young Chinese. You will definitely surprise your Chinese friends when you say some really local phrases. Or you can check the ”Conversational” and ”Daily Phrases” columns to learn words and dialogues along with visual aids. If you still have some time left and want to read about Chinese traditional festivals, then we provide it in both pinyin, English and Chinese characters. 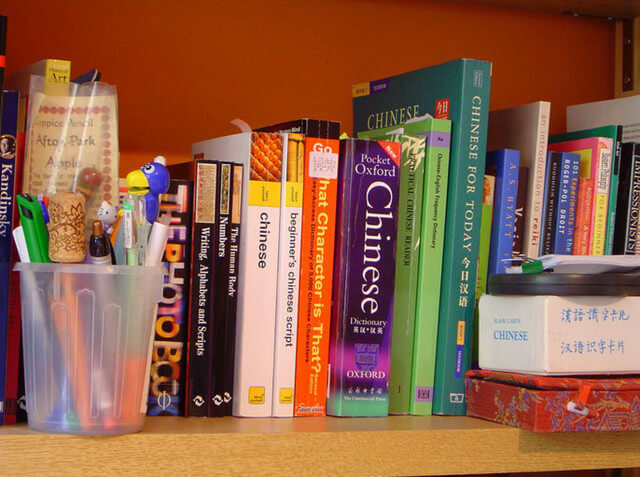 This channel provides you with different books to study Chinese, which are recommended by our professional and experienced teaching team. For example, if you want Chinese characters, you can combine the text books Learning Chinese Characters from Ms. Zhang or Encounters: Chinese Language and Culture. Further, you can access Hanbridge’s Chinese Character Flashcards, learning characters with ease and fun. In each flashcard set 20 commonly used Chinese characters are listed for you. Have you ever wondered how to type Chinese into your computer or cellphone? Here you can find the only software you need! It’s called “Sougou Pinyin Input.” So we solve the problem for those who spend too much time searching the Internet for the proper typing method only to end up with mistakes. Plus, you can also download previous HSK test papers and audio files from level 1 to level 6 for free. It’s really a time-saver! However, learn all by yourself is not as quickly as learn from professional Chinese teachers. Here to book a free trial class and let our teacher help you now!